You'll Earn 240 Loyalty Points! 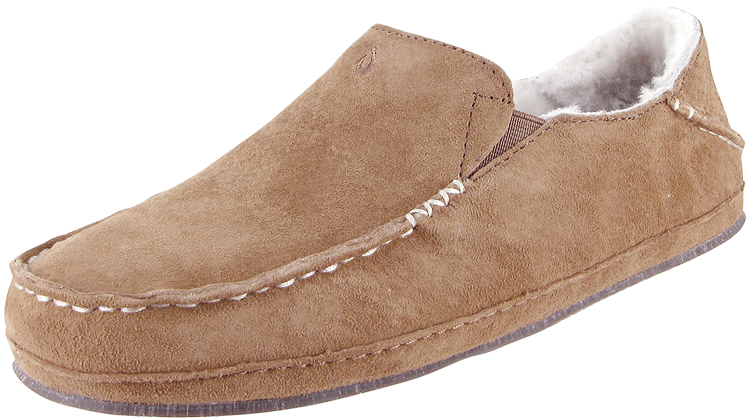 The Nohea Slipper encapsulates fashion and comfort û for in the house or out and about. 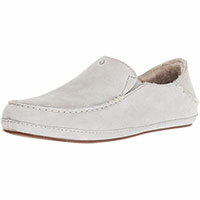 Upper: Soft and supple low knap suede with laser perforations and a moccasin hand-sewn toe, Dri-Lex suede lining. Footbed: EverFit contoured footbed. Merino wool blend cover. Embossed leather heel patch. Removable. Outsole: Non-marking natural gum rubber with buffed finish. Laser etched logo. Features: Versatile Drop-In Heel for shoe or slide functionality. Embroidered logos.